Bahria Rose Garden is newly announced Project by Bahria Town management . Bahria Rose Garden is located in Phase 8 Bahria Town Rawalpindi and near to Awami apartment sector 3. Bahria Rose Garden Plot sizes available are 5 marla coming approx 30 x 40.Height location of Bahria Rose Garden is key feature of the project. Plots are available only on cash plan package. Total Plots in Bahria Rose Garden Bahria Town are 250-300 plots are available on site map. 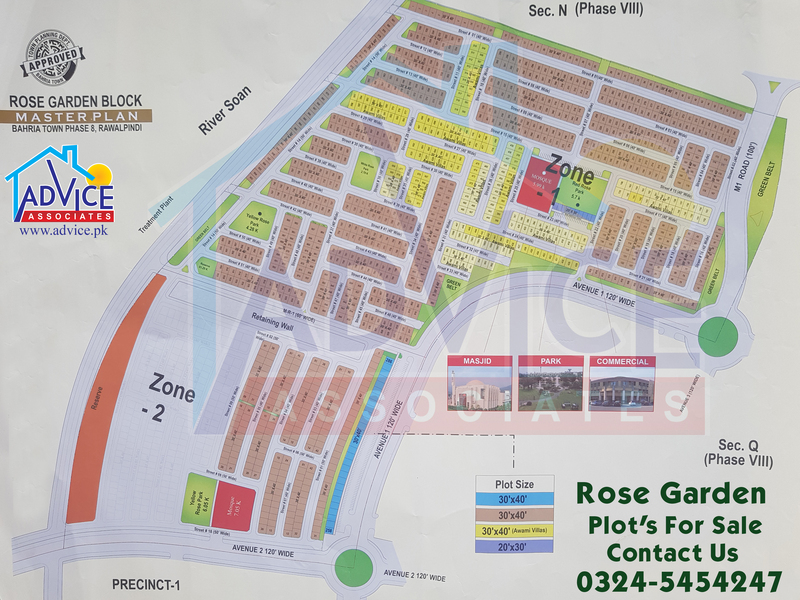 Rose Garden City Bahria Town is possession and developed project where you can built your dream house straight away.Bahria Rose Garden is very good project for short term investment with good returns on investment or building for home.Bahria Rose Garden is 7 Km away from Main GT Road (Grand Trunk Road). For more details and booking please contact us.